reader a real sense of the pathos and suffering felt on both sides." read it over and over again, more than any other Civil War book." 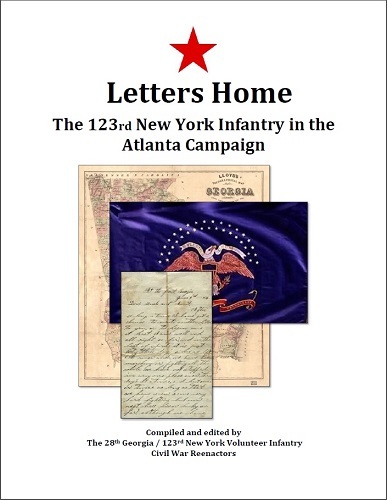 Our new book, Letters Home: The 123rd New York Infantry in the Atlanta Campaign, is now available. The book consists of letters and diary excerpts from the 123rd New York that were written during the Atlanta Campaign and the March to the Sea. The book is paperback, 8 1/2 x 11 inches in size, 80 pages, and contains over 85 letters and diary excerpts, plus 26 black and white photos, maps, and illustrations. Many of the letters have never before been published. Please allow up to two weeks for delivery. All book orders are considered a donation and are non-refundable. If you would like to order more than two books, then please contact us for additional shipping costs. 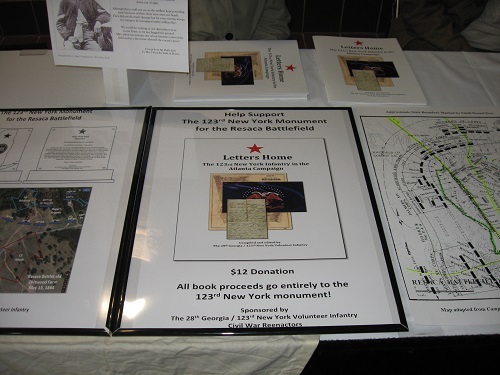 Our new book, Letters Home: The 123rd New York Infantry in the Atlanta Campaign, went on sale for the very first time at the Dalton Civil War Relic Show on February 6-7, 2016. 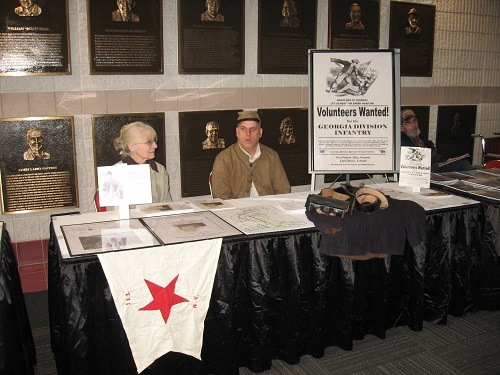 Here are some photos of our table at the Dalton Civil War Relic Show at Dalton, Georgia, that we had set up for recruiting new members and for raising money for the 123rd New York monument.